Carolyn joined Lincoln Property Company in 2007 and is currently a member of the Office Brokerage Team, focusing primarily on landlord and tenant advisory services. Carolyn has been involved in over a dozen investment sales transactions, ranging from office condos, commercial buildings and land throughout Massachusetts. Prior to joining the brokerage team, Carolyn was a member of the marketing and research team. Carolyn holds a B.S. in Business Management from Providence College and has remained actively involved in the community. She is currently the Vice President of the Boston chapter of their Alumni Association, heading up various community and volunteer outreach programs throughout the year. 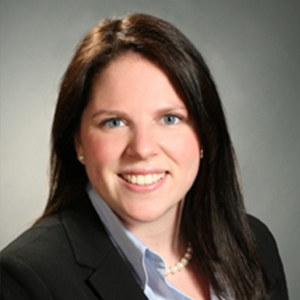 Carolyn is also on the Young Leaders Committee for the American Ireland Funds, a college mentor with Strong Women, Strong Girls,and an active member of Commercial Real Estate Women (CREW) and the Commercial Broker Association (CBA).